DHR Communications recently sponsored our Account Director Martina Quinn to participate in EIL’s corporate volunteering programme. 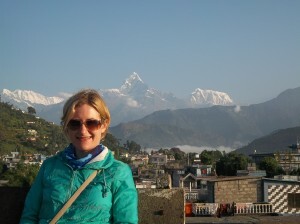 During October 2012, she spent four weeks in Kathmandu, Nepal. In this, the first in a series of blogs about her experiences, she recounts her overall impressions of Nepal. I fell in love last month. Not with a person – but with a people, and a place, and the feeling I could experience a hundred new things in any given day. 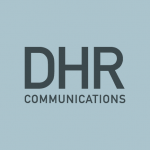 I’ve worked with DHR Communications for nearly six years now. During that time, I’ve worked on PR campaigns for community and voluntary organisations, national charities and various development NGOs. I’ve immersed myself in issues such as human rights, community development, global poverty and interculturalism. And I’ve worked on lots of projects with a focus on international development. But – until this October – I had no experience of working in a developing country. During October, I spent four weeks in Nepal. I was there as a participant in EIL’s corporate volunteering programme, and spent most of my time in the capital city, Kathmandu. Nepal is one of the world’s 10 poorest countries. It has the highest income disparity in Asia and one of the lowest levels of spending on health. Out of a total population of about 30 million, seven million Nepalese lack adequate food or basic healthcare and education. The adult literacy rate in Nepal is only 49 per cent. The average yearly income is less than €200 per person. And, in the very recent past, the country suffered hugely because of political upheaval and civil war: a decade-long Maoist insurgency only ended in 2006. Two years later, the Nepalese parliament voted to abolish the monarchy, ending 240 years of royal rule. I knew none of these facts before deciding to volunteer with EIL. I knew Nepal was home to Mount Everest, that it was a relatively poor country and that it had experienced some political unrest. And I had a vague sense that it had an interesting mix of cultures, religions and ethnic groups. But I only really began to research the country a couple of months before my trip. Vibrant colours assault your eyes as you go about your daily business. The sky is a brilliant blue; the distant snow-capped mountains sparkle in the sun. On the market stalls, there’s a dazzling array of multicoloured spices and beads. Bright red tika dots the foreheads of passersby. Weather-beaten prayer-flags flutter in the breeze. Outside the many temples, garlands of orange marigolds are on sale. The Nepalese people have certain traits that are also difficult to describe. In a society steeped in concepts of status and caste, they are deferential and formal but – at the same time – open, friendly, affectionate and fun. Most of the people I met were completely without guile; genuinely willing to help in a way I found almost disconcerting at first. In Ireland and abroad, I’m used to arming myself with a certain amount of scepticism: if random strangers offer me help, automatically I question their motives. But on my second day in Nepal – when a young student who overhead me asking for directions walked 30 minutes out of his way to make sure I got on the right bus home – my usual scepticism began to dissolve. The longer I stayed, the more I appreciated the hospitality and helpfulness of the Nepalese people. I was welcomed into strangers’ homes, given gifts by people I barely knew, and treated at all times with great kindness and respect. Of course, all of these impressions were built up over a period of four weeks. The night I arrived in Nepal, I had been travelling for nearly 24 hours and was more focused on getting to sleep than observing my new surroundings. At that stage, I didn’t really know what lay ahead – where I would be working; who I would be working with; whether or not I’d like Nepal. Over the next few weeks, I had plenty of time to find out.